About Roxy the Fetching Cat! Roxy is about 1.5 years old, female, Blue Calico/tabby, spayed, up to date on all shots. We rescued her from a local animal shelter a year ago, but are no longer able to keep her. Roxy will play fetch with you with her favorite mouse toy!! 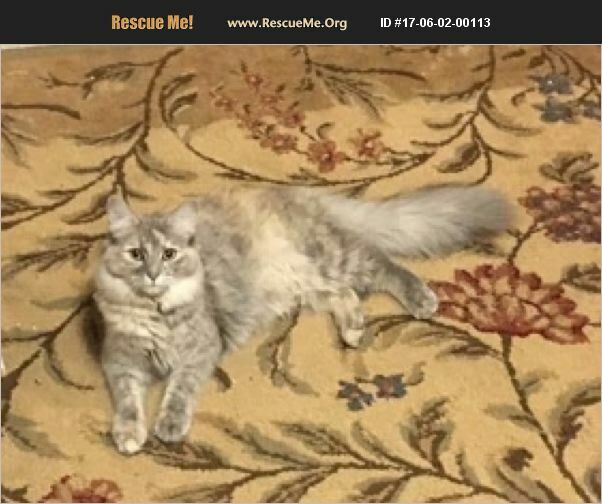 She is super sweet and likes to climb on your lap if you are sitting down watching TV or just relaxing. She gets along with female cats, but she hasn't been around any male cats since we have had her. She gets long with most dogs and all people. She is fairly easy to bath and trim her nails.